As I’ve written in previous blogs, the close proximity between New Jersey and Pennsylvania, doesn’t necessarily translate into similar types of laws and criminal penalties, especially in cases involving illegal drugs, guns, firearms, DUI, and DWI. One area, however, where our Commonwealth and the Garden State are similar is the treatment of warrantless car searches following a police or law enforcement traffic stop. While I have addressed the topic of illegal searches and seizures in previous blogs, I wanted to write specifically on this topic because many of my clients and their families cross over into New Jersey or Pennsylvania everyday for work and school. In addition, many Pennsylvanians visit the Garden State on the weekends to visit family, shop at a Mall, vacation at its many shore points, and even go the movies (which I never understood.). Similarly, many New Jersey resident come into Pennsylvania on the weekend to see family or perhaps to watch a sporting event or a night out in Center City Philadelphia. 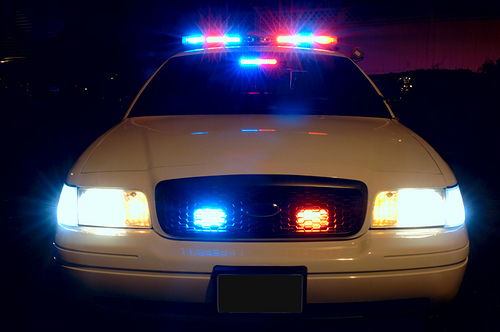 Despite distinct differences in some areas, both New Jersey and Pennsylvania follow the federal standard with regard to the search of a vehicle following a police stop. The 4th Amendment to the United States Constitution requires that any search and seizure of a person’s property be done pursuant to search warrant. The Pennsylvania (Article I, Section 8) and New Jersey (Article I, Paragraph 7) Constitutions have similar provisions but there are, however, exceptions to the requirement. It is these exceptions that often form the basis for motions to suppress evidence in the two states. (Check out my video on motions to suppress). This is a key defense in many cases involving illegal drugs and guns. While each State has its own Constitution, under the Supremacy Clause of the US Constitution, no state constitution or law may violate the US Constitution. What this basically means in the area of illegal searches is that a state’s constitution may not provide less constitutional protection than what is provided in US Constitution. While a State many not provide less protections, there is no prohibition against a state providing a higher level of protection. Up until a few years ago, Pennsylvania, did just that in the area of illegal searches. The case of Commonwealth v. Gary, however, changed all of that in the Commonwealth. In Gary, our Supreme Court specifically ruled that the search-and-seizure provision of Pennsylvania Constitution doesn’t provide any greater protection than the Fourth Amendment to United States Constitution with regard to warrantless searches of automobiles despite literally years of prior court decisions. The Pennsylvania Supreme Court went on to say in this decision that Pennsylvania can only provide further protections under it’s Constitution where its own independent constitutional analysis indicates that a distinct standard should be applied. The Court found that similar to New Jersey, police only need probable cause to search a car, including its trunk and interior compartments. Prior to the Gary decision, a warrantless car search required some type of exigent circumstance other than the car’s inherent mobility. The Pennsylvania Court, similar to New Jersey, found that there is a lower expectation of privacy in one’s car than in one home. (Searches of a home normally almost always require a warrant). The expectation is based somewhat on a state’s regulation of automobiles (car inspection etc). In a recent New Jersey Supreme Court decision (State v. Witt), the Court like Pennsylvania, specifically stated that “ the Automobile exception to the Fourth Amendment’s warrant requirement authorizes police officer to conduct a warrantless search of a motor vehicle if it is readily mobile and the officer has probable cause to believe that the vehicle contains contraband or evidence of an offense. The bottom line is that police don’t need a warrant to search your car in Pennsylvania or New Jersey as long as there is probable cause to believe that a crime has occurred or is occurring. For more great information in the area of criminal defense, please keep reading my blog, watch my videos and of course, visit my free download section.